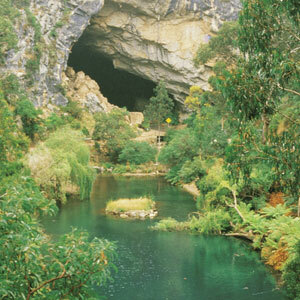 The Jenolan Caves are a series of remarkable caverns believed to be some of the oldest caves on earth. They are the most celebrated lime stone caves in Australia. Above ground, there are spectacular formations, such as Carlotta’s Arch and the Blue Lake. 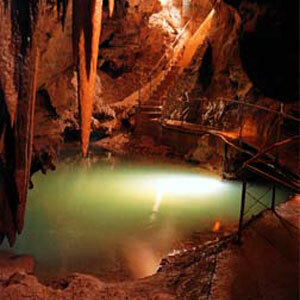 Underground, visitors can experience any of the spectacular show caves with their amazing formations, rivers and pools. Once hidden and remote, more than 400 caves have been discovered at Jenolan since 1830. For many years, researchers suspected that Jenolan Caves were extremely old. Recently the CSIRO solved the mystery, establishing that the caves are the world's oldest known open caves. 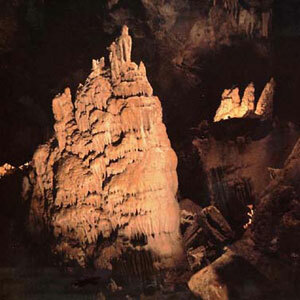 Once hidden and remote, more than 400 caves have been discovered at Jenolan since 1830. However their full extent remains unknown. Above ground, there are spectacular formations, such as Carlotta's Arch and the Blue Lake. Underground, with daily guided tours, most visitors can experience any of the nine spectacular show caves with their amazing formations, rivers and pools. The Jenolan Caves turnoff is found just past the village of Hartley. Turning left, this road passes through Hampton and finally Jenolan Caves.